Number 1: Make an honest, no-nonsense assessment of the situation. Do not be blinded by wishful thinking or denial. What does this mean? Well it means just this: be honest with yourself and take a look at what is going on. Delusion is the enemy of precision. Ignoring reality, or ignoring the signs that you are seeing, is only going to slow you down and prevent you from taking action. Do not waste time listening to hucksters selling books on television, in the media, or on the radio. These people are selling books, and pumping their own brands. These people don’t know the law, and almost always give incomplete or incorrect advice. If things are bad or are getting bad, immediately set an appointment and talk with an attorney that is experienced in bankruptcy and debt relief. Talking with an experienced professional about your particular set of problems is the only way to get a quality assessment of your options. If you sense that you are in financial difficulty, or if things are starting to turn badly, you should seek advice right away. Don’t wait! When you are starting to get calls from bill collectors, from mortgage companies, or similar sorts of things, then you need to take action and get legal advice right away. Number 2: Do not waste time trying to negotiate with bill collectors. Do not waste time trying to negotiate with banks or mortgage companies. That can be done, if necessary, by your attorney, who will know how to handle such matters. The reason you should not waste time talking to creditors is because they know how to employ a variety of guilt factors, coercion, selective concealment, and runaround to avoid taking care of your interests. What often ends up happening is people waste time running around doing things, with very little to show in the way of results. Remember, bill collectors are pros at making you feel guilty. They are pros at wasting your time. They don’t care about your interests. They don’t work for you. They only care about themselves and their own clients’ interests. Number 3: Do not waste time trying to negotiate with mortgage companies. What we often see here are situations where people are led on to believe that the mortgage company or bank is going to do all sorts of favors for them. The bank will ask for a ton of paperwork, and run you around for months. And then, when all is said and done, they don’t do anything. We see this over, and over, and over again. And in the meantime, people have wasted a lot of time and expense pursuing the delusion that the mortgage company is going to work with them. If you are trying to deal with these large institutions, you are going to be at an inherent disadvantage. You need help from an experienced professional. Any negotiation with banks and mortgage companies is most often better handled within the context of a bankruptcy reorganization. Because this is when the negotiating power of the debtor is at its greatest. Number 4: Tell your attorney everything. You have to participate in your own rescue. In order for the best possible outcome to be achieved, your attorney needs to know as much as possible about what is going on. You also have an obligation to disclose things. We understand that you might be embarrassed about one thing or another. And that is fine. It’s only human nature. But the key thing is to remember that your attorney is (or should be) an experienced professional, and has heard just about everything. There is nothing to be embarrassed about or ashamed of. We want you to get a fresh start, and to succeed. Number 5: Be mindful of your paperwork. When a bankruptcy case is being prepared, you will be asked to get some paperwork together. It’s generally things like tax returns, proof of insurance, pay stubs, or various personal documents. It’s nothing complicated or intrusive. But they key thing is to get the documents. Sometimes the trustee will want to see one thing or another. And that is fine. Remember, bankruptcy cases are participatory cases: your participation is needed for things to go smoothly. Number 6: Appear for the trustee’s meeting. Usually the most important meeting in a bankruptcy case is the so-called “341 meeting” or meeting with the Trustee. You need to attend the meeting, and you will have gotten a notice from the court about the day and time of the meeting. Make sure you are there! We will give you reminders of the meeting, but you will have to make sure you attend the meeting. Again, bankruptcy cases are participatory cases. Number 7: Cooperate with the trustee and your attorney. There are some situations where, after the Trustee’s meeting, we will be asked to provide additional documentation, or do one thing or another. No big deal! The key thing is to get the information or do what is asked by the Trustee in an efficient and timely manner. Problems can arise when responses to questions are delayed or not forthcoming. No one expects you to be perfect. As long as you are engaged in the process and are cooperating with good faith, you will be fine. Number 8: Save your paperwork. This is a big one. One of the best pieces of advice is to start your own folder at some point. You will receive a lot of random mail from the court, and some of this mail may be confusing and technical in nature. But here is the thing: if you are confused about some piece of mail you received, call us! It’s no problem. That’s what we’re here for. Do not jump to some conclusion just because you may have received something strange in the mail. Just call us, and we can answer the question. Save your notice of final discharge. This is a legal document that you may need in the future, if you ever decide to refinance your home. Number 9: Stay in contact with your attorney, even after the case is finished. Why? Because we have found that, even years after a case has been done, some issue can often come up. You may get some improper phone call or letter from a creditor. You may need some document or another. You may want to reopen your case to add a creditor you forgot about when you first filed your case. You never know. So these, then, are the top tips that can make sure your bankruptcy case is a success. Focusing on these at the right stage can make things go smoothly, quickly, and successfully. Together, we will make it happen. And you will have your fresh start. 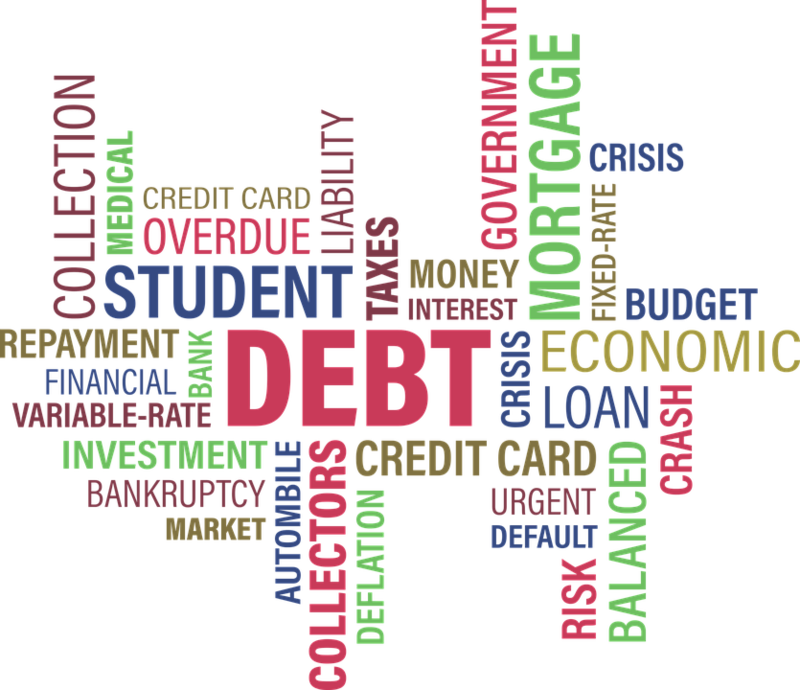 This entry was posted in Bankruptcy Attorney Kansas City, Chapter 13 Bankruptcy in Kansas City, Chapter 7 Bankruptcy in Kansas City and tagged bankruptcy, bankruptcy attorney, bankruptcy lawyer, overland park by bankruptcyinfokc. Bookmark the permalink.